• Copy of the identification card from the country of origin or of passport. This card or passport should be the same as that used in the application. For the application for Specific Competency Exams, it is only necessary to provide the required documentation from the previous section. For more information on translations, legalizations and certifications, consult the following link. • Certified copy of the academic transcript for the past two course years of secondary studies. This documentation should be provided, translated and legalized in the case of students coming from the Chinese education system. In the case of educational systems having certificates in alphabets that are distinct from Latin, it is recommended that sworn translations are provided for said certificates. Translations are mandatory when requesting a Bachillerato mode or the recognition of specific courses. • Certified copy of the degree or diploma of professional or technical studies that, in the country of origin, permits university admission. • Students possessing different degrees, diplomas or studies that comply with the university admissions requirements in their country of origin. • Certificate from local authorities in the area of Education, accrediting that the documentation provided permits access to university studies in this country or an admissions letter for degree studies in a specific university in the country of origin. 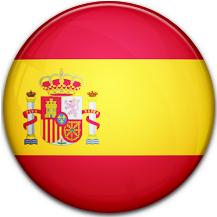 • Certified copy of homologation to the Spanish Bachillerato degree. At the time of formalizing the request, accreditation of the homologation of foreign degrees to the Spanish Bachillerato, via documentation issued by the competent organism, should be provided. In the absence of the previous, present the original copy of the accrediting homologation request, in which case the accreditation shall be provisional until the delivery of the corresponding homologation. For information on the homologation procedure for the Bachillerato degree, consult the following link. • Original academic transcript or certified copy of the same, translated and legalized (when required) for the scores obtained during the past two years of secondary studies. For information on the translation, legalization and certification procedures, consult the following link.